Delegate Cheryl Turpin is an environmental science teacher and career educator who was elected to the House of Delegates in 2017 to represent the 85th District, which contains part of Virginia Beach. In addition to her advocacy for educators and their students, Cheryl has been a strong champion of clean governance. She was a co-patron for bipartisan legislation that prohibited the personal use of campaign funds, working across the aisle to pass the bill through the House. She was also a co-patron of legislation that sought to strengthen disclosure requirements for political campaign advertisements. 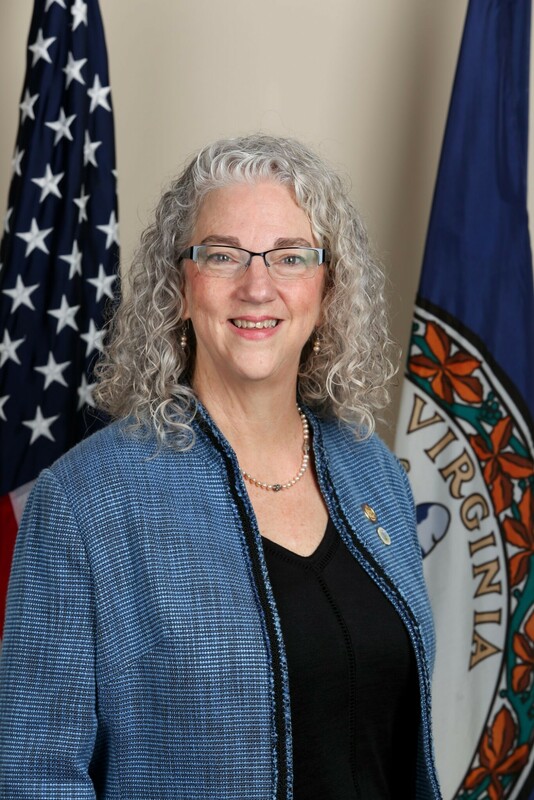 Delegate Turpin has taken a principled stance against taking campaign contributions from regulated utility monopolies since she was a candidate, and as a legislator she demonstrated her commitment to public oversight of monopolies by voting against SB 966, the “Grid Modernization Bill” which strongly curtailed the SCC’s ability regulate the rates Dominion Energy charges consumers. She has also worked hard to protect her district from the impacts of flooding, introducing the Va. Alternative Energy and Coastal Protection Act, which authorized the state air pollution control board to conduct an auction of allowances of CO2 emissions and use those funds to programs that prevent flooding. She was the co-patron of the Hurricane and Flooding Risk Reduction and Bond Rating Protection Act of 2018 and of a bipartisan bill that created the executive branch position of Special Assistant to the Governor for Coastal Adaptation and Protection.